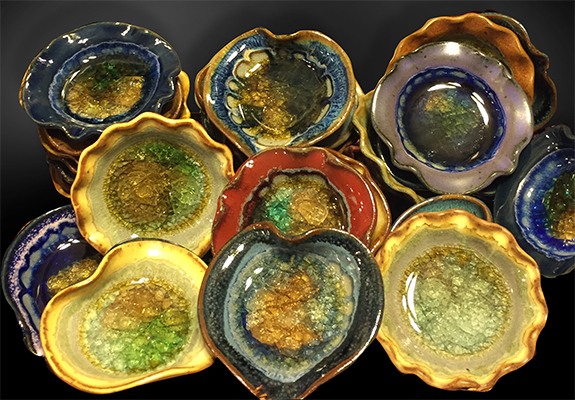 These little dishes are true works of art! Photos don’t do them justice; these pieces shimmer. Each one is unique and Handmade in the USA from all natural materials and recycled glass. Beautiful and practical, too. Use them as votive candle holders, a special place for rings and things, loose change… many other useful ways!